Your neck supports the full weight of your head yet despite this has the greatest movement of any region of your spine. This makes it very susceptible to pain and injury such as whiplash. The symptoms of whiplash include neck pain and stiffness, headache and shoulder pain. The pain resulting from the initial injury may be delayed by days or weeks and in some cases even a year or more after the event. Whiplash is not a disease or a diagnosis, it is an accurate description of a particular type of injury. When your neck is rapidly and unexpectedly moved beyond its normal range of motion i.e. 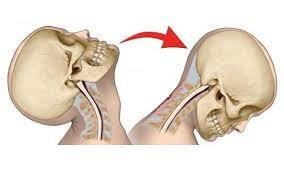 first in one direction and then back in the opposite direction, a whiplash injury to the neck will occur. Whiplash can be caused by a car accident, sports injury or by any number of knocks, falls or slips and can be excruciatingly painful. 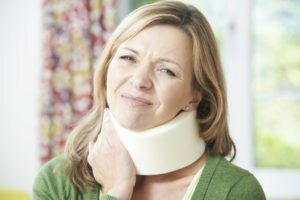 WHAT ACTUALLY HAPPENS IN A WHIPLASH INJURY? HOW LONG DOES IT TAKE FOR WHIPLASH INJURIES TO SHOW? Symptoms of a whiplash injury can be immediate and severe, however they are often delayed. They have been known to take days, weeks, months or even years to develop. Quite often our patients book an appointment with one of our professional chiropractors not realising that the neck pain and headaches they experience are caused by an earlier whiplash injury. However, if left undetected whiplash can lead to other complications such as osteoarthritis and disc degeneration. 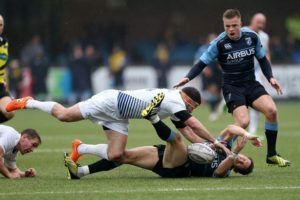 Whiplash does not always occur after a single incident, as is the case after a sports injury the damage may accumulate from multiple small injuries. Footballers or horse riders are a prime example. Many of our patients don’t realise they are living with whiplash injuries at all despite the symptoms they face. While symptoms do vary, here are the most common ones we see in our office. Neck pain – it may start as a slight pain in the neck then spread down the arms or between the shoulder blades. Headaches – these start in the neck moving to the base of the skull then to the forehead. Lower back pain – in a whiplash injury there is often damage to the lower back at the same time. The exact nature of the symptoms will vary depending on the speed and direction of vehicle impact. Your age and physical condition are also determining factors in your symptoms. The good news is that regardless of when or where the injury occurred chiropractic care has been scientifically proven to be an effective treatment for whiplash injuries. Our chiropractic approach when dealing with whiplash is to perform a thorough examination and explain to you if chiropractic care could help. Chiropractic treatment for whiplash uses specific and gentle adjustments to help restore spinal function followed by a series of rehabilitation exercises. We have that this two-fold approach has been very effective for many of our patients, regardless of the age of the injury. FIND OUT IF CHIROPRACTIC CARE CAN HELP YOUR SYMPTOMS. It is important to make an appointment to visit one of our chiropractors if you have been involved in an injury or accident or suspect you may be experiencing aches or pains from an earlier injury. Our chiropractic care is aimed to help ease any symptoms from whiplash injuries and also to improve spinal function. Book your appointment today.